Timeline: The public sale was cancelled as the hard cap was reached during the private sale. To allow for greater participation, the VideoCoin team will be conducting an airdrop of VID tokens. 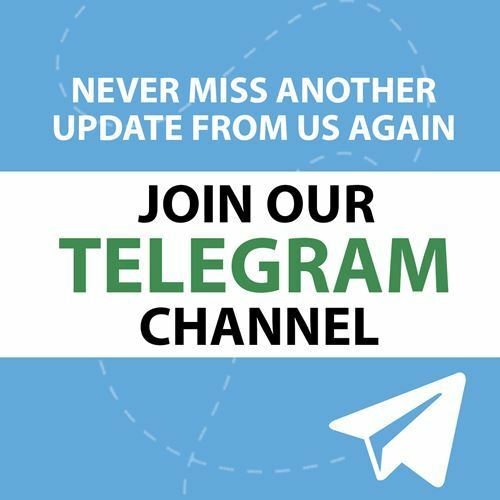 To participate, join the project’s official Telegram group. Please also refer to VideoCoin’s website for the most up-to-date information. Token distribution date: Tokens are currently scheduled to be distributed in July 2018. VideoCoin is developing a decentralized network that provides cloud video infrastructure with video encoding, storage, and content distribution. Lower costs by 50-80% by deploying unused computing resources. Provide trusted peer-to-peer video processing, distribution and storage. Increase security through decentralized, end-to-end encryption. Enable new applications via open APIs & open source-based development. To create such a network, VideoCoin will incentivize miners from around the world to install their proprietary mining software and rent out surplus resources. Miners provide proof of work using ‘proof of transcoding’ and are rewarded for good behavior in the form of VID tokens, the platform’s native protocol token. Misbehaving nodes are kept in check and punished via proof of stake. Encoding and storage tasks are submitted along with encoder configuration parameters like bitrate, codec, and output containers format, along with an ASK price. Retrieval and distribution tasks are submitted along with CDN configuration parameters like geographical region and bandwidth. Miners compete with others to win bids to perform these tasks. VideoCoin is still in working process. There is no MVP, alpha or GitHub repo yet but the project is fully open-source and will be made public when available. Storage miners can earn VID tokens by pledging storage to store videos. Distribution miners can earn tokens for delivering videos, with more tokens awarded to those with more bandwidth. Compute miners can earn tokens for providing CPU time for transcoding. Relay miners can earn tokens for relaying storage on third party servers (e.g. AWS). Clients pay VID tokens in order to rent out various video infrastructure services. The token supply is controlled by function that halves block rewards approximately every 4 years with 93% of all mineable tokens distributed by year 10. Due to this supply control, VID tokens will not reach its total supply of 881.94 million for several decades. The demand for VID tokens should increase as more users join the network and pay for video infrastructure services. Halsey Minor, CEO – Founded/co-founded numerous companies including CNET, Uphold (a cryptocurrency platform), Live Planet, Salesforce, Google Voice, OpenDNS and Vignette. He is currently the founder and CEO of Live Planet, Inc., which produces an end-to-end capture, distribution, and monetization system for immersive VR video. Devadutta Ghat, CTO - Founder & Chief Architect of the Intel Video Transcode Service, the basis for Facebook’s video platform. Builder of complex cloud video systems at Intel, Cloudera, and Live Planet. Seth Shapiro – 2-time Emmy Award winner, Leading advisor in business innovation, media and cryptocurrency; Governor of The Television Academy, Professor at USC. Hanno Basse – CTO at 20th Century Fox Film Corp., oversees technology strategy and engineering, including home entertainment, theatrical distribution, and postproduction. Ted Schilowitz – Currently Futurist in Residence at Paramount Pictures. His past and current companies include Barco Escape, 20th Century Fox, RED Digital Cinema and G-Tech. Investors of the project include AlphaCoin Fund; Anthony Diiorio, Co-Founder of Ethereum and Founder and CEO of Jaxx and Decentral; Arcadia Crypto Ventures; Binary Financial; Blockchain Companies; Bracknor Investment Group; Distributed Network Advisors; Galaxy Investment Partners; Grit Capital; Jump Investors; Juno Capital; Lvna Capital; RenGen Partners; Science Blockchain; Original Capital; Team in Residence; and Tokenstack Partners, among others. The team is strong in both the business development as well as technical side. The CEO, Halsey Minor, has a stellar entrepreneurial record and co-founded multiple billion-dollar companies before. If the team can deliver on its promise and be able to provide video infrastructure services at 50-80% cheaper than existing solutions, then it has a huge market potential. The advisors of the project are from some of the biggest film studios such as 20th Century Fox and Paramount Pictures. This can help Videocoin to have quick and wide adoption if the project can partner with such companies. The roadmap is quite vague so we cannot gauge the level of planning the team has in terms of executing its vision. The project is at a fairly early stage, with the Alpha scheduled to be launched in January 2019 and Beta being launched in July 2019. Also, there is no MVP/proof-of-concept being developed yet. There will be significant dilution going forward after mainnet is launched. When all the coins are minted, only 12% of total coin supply is from ICO contributors. Overall, we like the long-term potential of the project. This project is a bet on (1) the all-star team that has launched several multi-billion tech companies, and (2) the substantial market potential for video streaming which make up the majority of internet traffic and is also the major source of growth going forward. VideoCoin is having an airdrop program now. Users who are in their telegram channel are eligible for the airdrop. Please refer to their website for more up-to-date information.